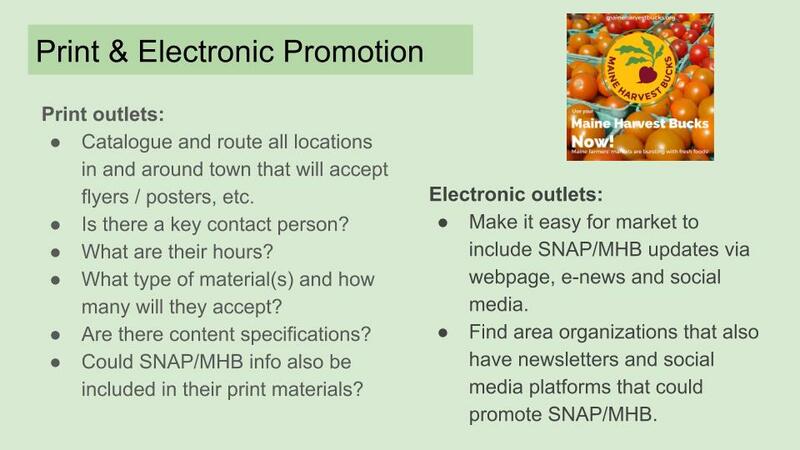 CLICK HERE to view this short slideshow that we created for a recent conversation with SNAP Educators from throughout the state. 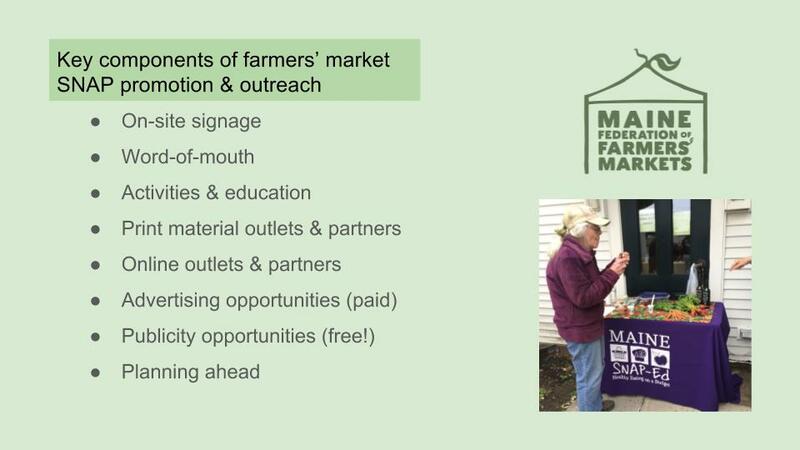 Many SNAP Educators assist their local farmers’ market with outreach and promotion of SNAP, Maine Harvest Bucks (or other nutrition incentives), WIC, and other low-income access programs. 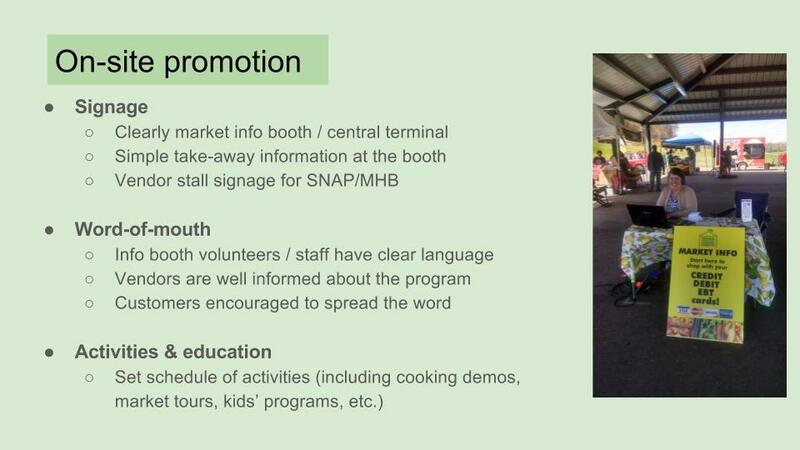 These 4 slides capture major components of a successful outreach campaign for these programs. 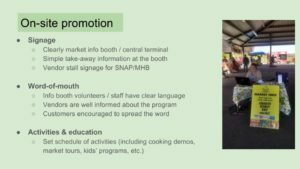 Take a glance and start brainstorming plans for your market’s promotional plans be it for SNAP or other market programs. On a related note, join us for our January 29th Maine Farmers’ Market Convention and attend the What’s the Plan? 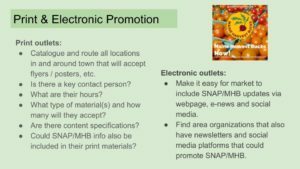 : make and sustain a successful SNAP outreach plan session. 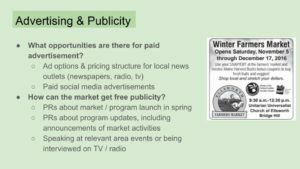 You’ll hear from a panel of SNAP Educators, market managers, and more who all have experience from the field and resources to offer. 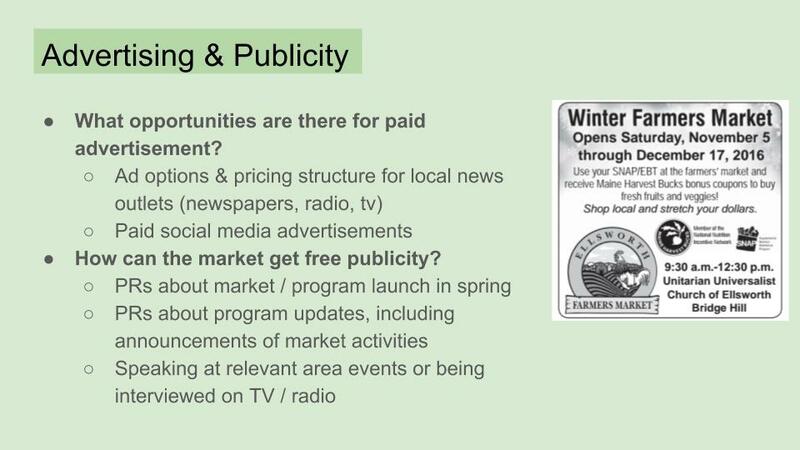 There’s no better time than now to start strategizing and planning ahead for next season’s marketing!